First thing in the morning, I had to run some errands, one of which included a stop by Harbor Freight to exchange my Automatic Compressor Drain Kit that had a crack in it. While I was there, I used two coupons. 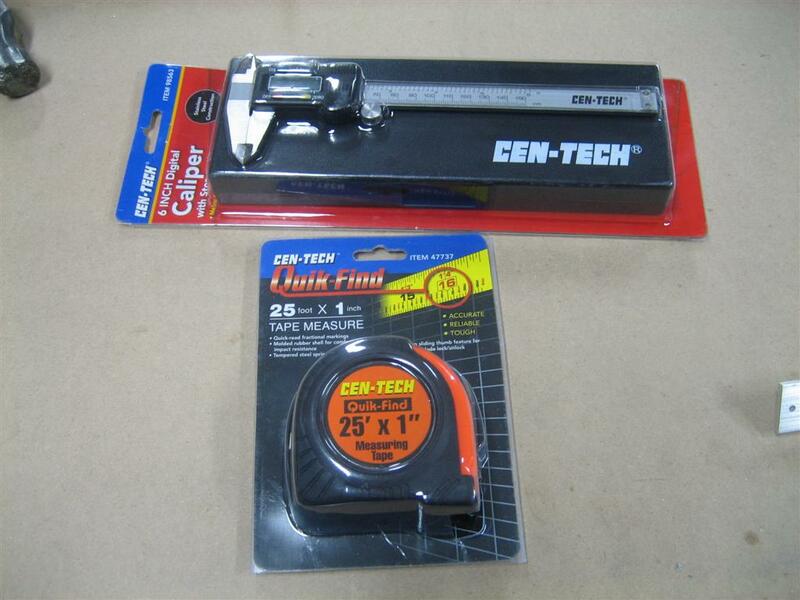 One, for a free tape measure, the other for almost half off a 6″ digital caliper. Walked out the door with a new caliper, tape measure, and an exchanged drain kit for $10. Can’t beat that. Free tape measure at Harbor Freight. Also a coupon for 1/2 off a $20 digital caliper. Then, the directions have you cleco the left skeleton together. It looks like an airplane! Kind of. 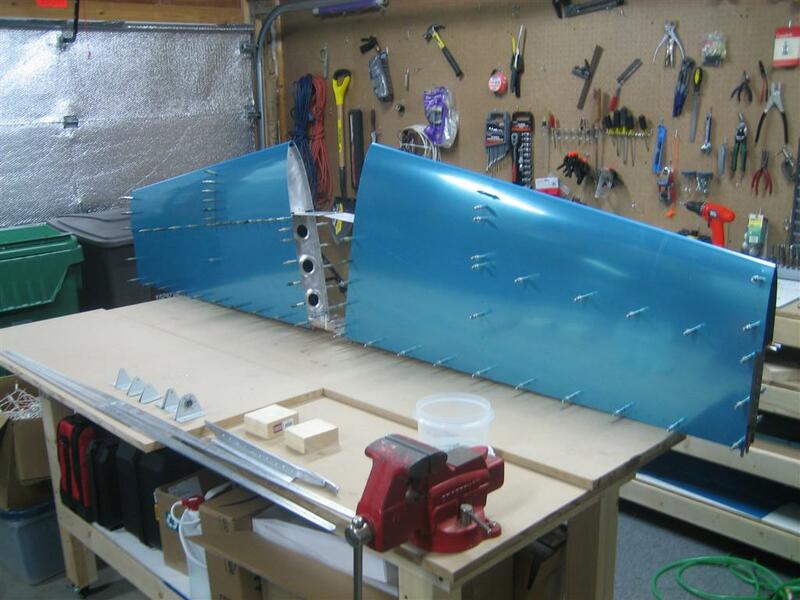 I did the right side too (mostly so I could take the next picture), then match-drilled all of the rib/spar attach points to #30, (except for 708/603), which they have you do later to a #21. 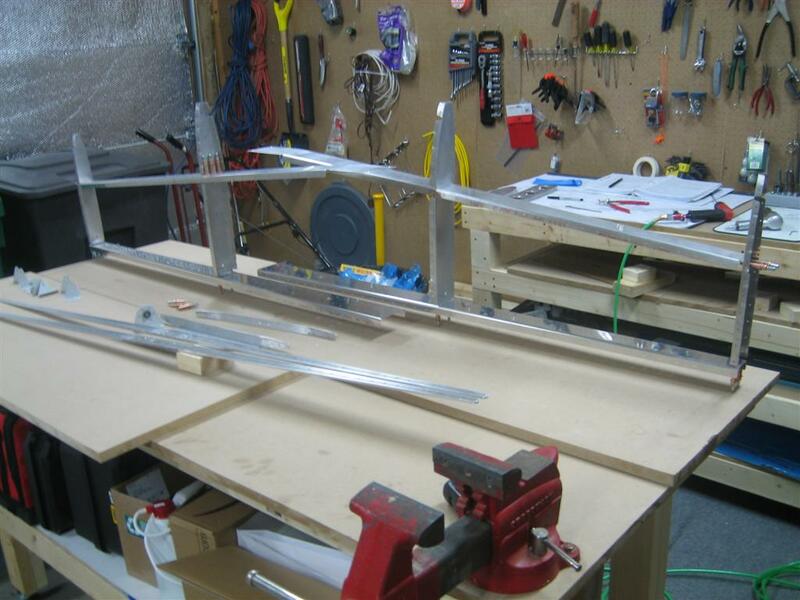 Both skeletons after match-drilling all of the rib to spar attach points. Then you get to cleco on the skin (wuhoo!). I had trouble with HS-707 here. the very tip of the rib kind of caught on the skin (vinyl); I had to really work to get it back into position and clecoed. you can see here I clecoed every hole on the HS-707. Clecoed on the left HS-601 skin. 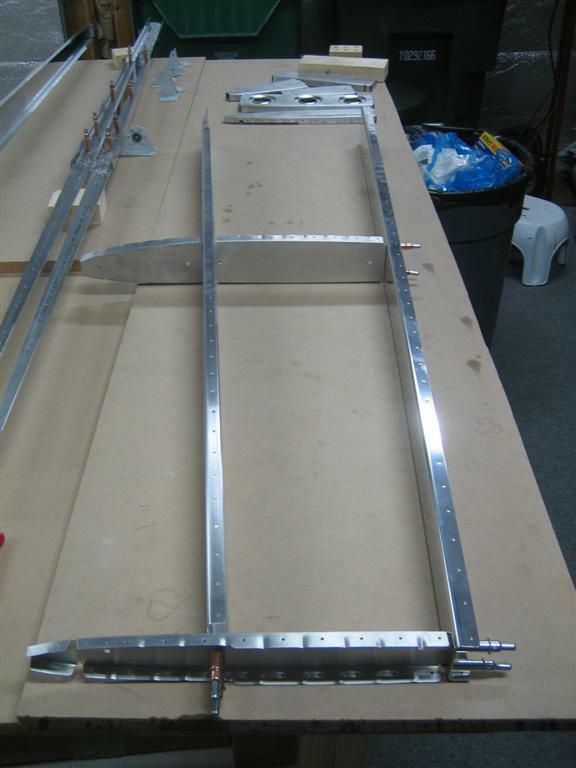 Then I inserted the HS-404 (front inboard) and HS-405 (rear inboard) ribs and clamp. 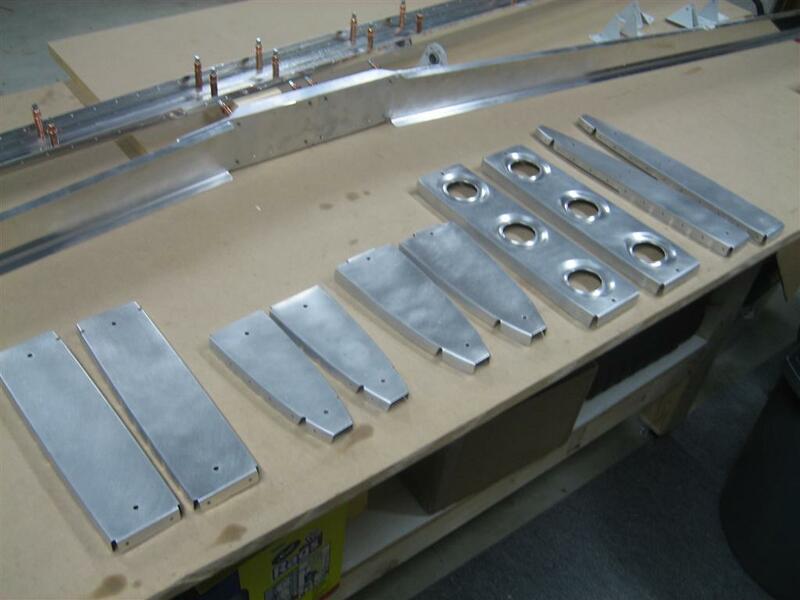 Here, you can see the HS-405 clamped. Inserted HS-404 and HS-405 for match drilling. Then I match-drilled the HS-405 to the HS-601PP (skin). 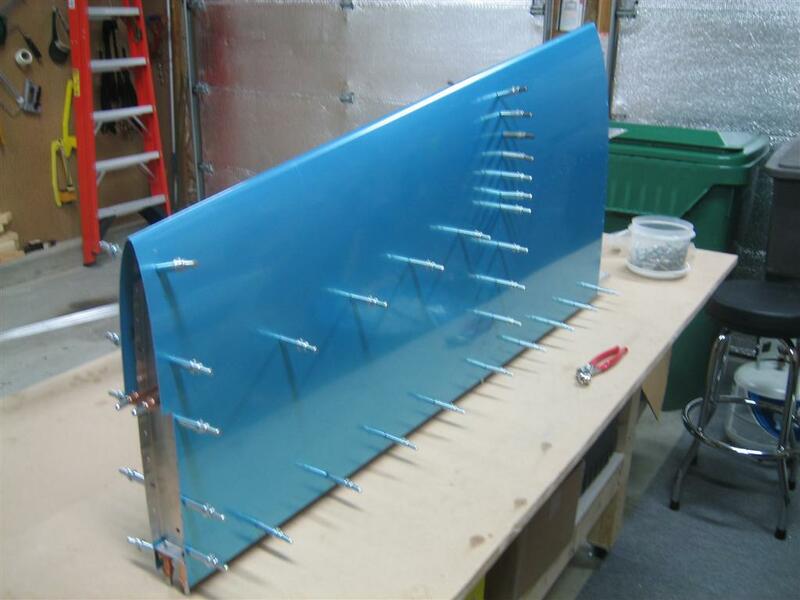 I didn’t do the top or bottom forward most hole, because I seem to be having edge distance troubles on the HS-405 and HS-702 spar. I checked everything and it seems to be right. I checked some other build sites to see if other people have run into this, no one mentioned it. Right as I was going to post a question on the VAF forums about this, a new thread popped up. Apparently this is a common problem, and the edge distance on HS-405 is not to be worried about. It’s a little confusing, though, given the prepunched nature of the parts. Then repeated for the right HS. Looks like an airplane! 11am to 6pm, with an hour for lunch. 6 hours today. 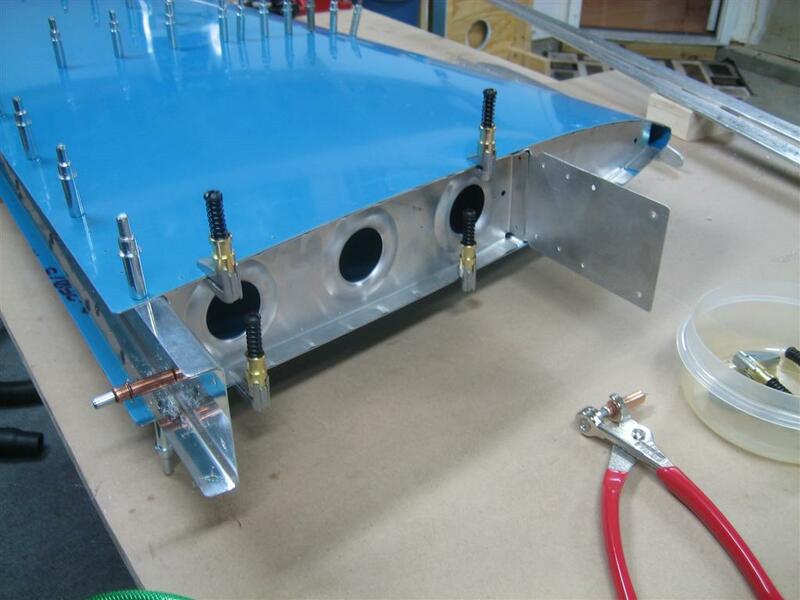 This entry was posted on Thursday, December 31st, 2009 at 8:16 pm and is filed under Empennage. You can follow any responses to this entry through the RSS 2.0 feed. You can leave a response, or trackback from your own site.